Discover the beauty of volunteering! 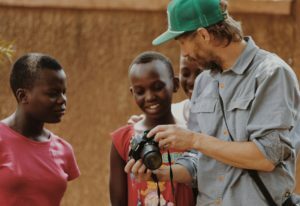 Our Resource Center is always looking for volunteers who are willing to contribute in their own unique way. – To conduct workshops and seminars is one way. – To just be there, talking and listening to the children and adolescents is another. It’s up to you! If you would like to volunteer in needy schools, hospitals or communities we are happy to help you find a suitable situation. Email us your preferences or questions and we’ll customize your voluntary stay together. 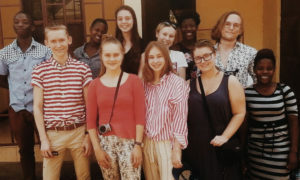 Together with our sister organisation Projekt Afrika in Karlstad, Sweden we arrange student exchanges between students from Klara Gymnasium in Karlstad and students here in Kampala and around. The aim is to enable cultural experiences “from within”, of different cultures world wide. Is your organisation or school interested in something similar?